Real-time data streaming is the process by which big volumes of data are processed so quickly that a firm extracting the information from that data can react to changing conditions in real time. Large chunks of data are stream processed to enable the organizations to respond to any fraudulent activity and potential threats as well as to boost the business benefits. Real-time streaming works by making use of continuous queries that operate on time and buffer windows. This process is just opposite to the traditional database model where data was first stored and indexed and then processed. The real-time data streaming makes use of the data when it is in motion through the server. Real-time streaming has various applications such as E-commerce, Network monitoring, Risk management, Fraud detection, Pricing, and analytics. Stream Processing is a big data technology. This technique enables the users to analyze continuous data stream and detect the conditions faster within a minimal period. The detection period varies from few milliseconds to minutes. For example, with stream processing, we can receive an alert by querying data streams coming from a temperature sensor and detecting when the temperature has reached the freezing point. Real-time data streaming is still in its nascent stage, but during the next few years, organizations will certainly gain a competitive advantage with successful rollouts. 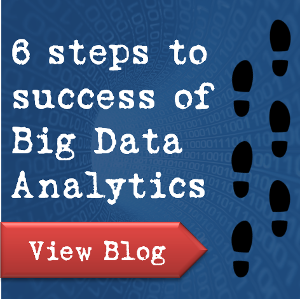 One of the signature traits of the big data is that large volumes are created in a short period. This data comes from connected devices like mobile phones, vehicle fleets or industrial machinery. One of the reasons for generating and observing is big data anomaly detection. The detection of anomalous behavior may be due to a machine in the factory that is on the verge of malfunctioning or due to the imminent breaking of some part that has experienced unusual or hazardous environmental conditions. Monitoring data is one way to detect such problems early by identifying erratic behavior. Early detection allows for proper interventions and reducing the cost of a malfunction. The entire proposition is based on the idea that it is possible to separate a normal part from the irregular behavior with a high degree of confidence. It is possible that normal behavior can be identified as irregular or erratic behavior may not be detected. In big data anomaly detection, a simple algorithm is used that can detect rare and potentially irregular behavior in a time series that has periodic patterns. The pattern may arise from differences in the utilization of service during the day as well as on the weekday.